Research from North Carolina State University finds that driving speed fluctuates more when a driver’s mind wanders from focusing on the act of driving – and that the outside environment influences how often a driver’s mind wanders. “As autonomous and semi-autonomous technologies take over some driving tasks, drivers are likely to experience increased boredom because they will have less to do, which makes it important to understand what contributes to ‘mind wandering’ for drivers, and how that affects driver performance,” says Michal Geden, a Ph.D. candidate at NC State and the lead author of a paper on the work. Mind wandering is thinking about anything other than driving. Perceptual load refers to the amount of information in the environment that the driver needs to process. For example, driving in a sparsely-populated desert environment offers a lower perceptual load than driving in a busy, urban area. 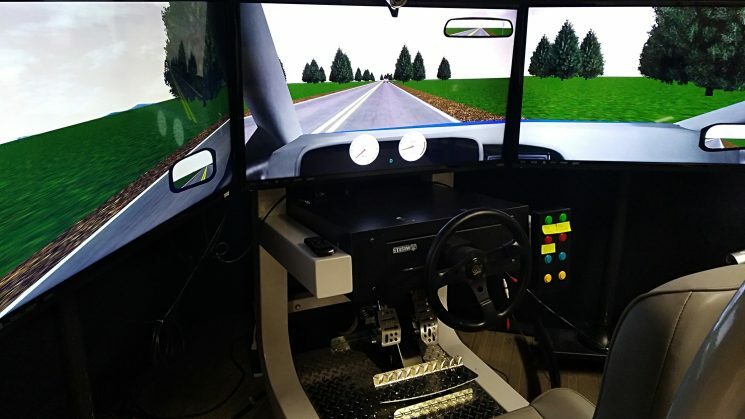 For this study, researchers conducted an experiment with 40 drivers using a driving simulator. During low perceptual load conditions, drivers reported that their minds were wandering 50 percent of the time. But during high perceptual load conditions, drivers reported mind wandering only 41 percent of the time. And during times that drivers reported mind wandering, the researchers saw increased variability in driving speed. The paper, “The impacts of perceptual load and driving duration on mind wandering in driving,” is published in the journal Transportation Research Part F. The paper was co-authored by Ana-Maria Staicu, an associate professor of statistics at NC State. Abstract: A significant portion of the risk of driver distraction comes from the cognitive consequences of attention deviating from the current task. While distraction can be due to external stimulations such as flashing billboards or a ringing phone, simply engaging in internally-generated task-unrelated thoughts (i.e., mind wandering) could raise one’s crash risk as well. Compared to the extensive efforts in recent years to understand the mechanisms of external distraction, relatively little is known about internal distraction such as mind wandering. This study investigated how perceptual load and driving duration can impact both the rate of mind wandering and its costs on drivers’ performance in vehicular control. Generalized additive mixed effects models were used to estimate these effects in both a lower perceptual load scenario and a higher perceptual load scenario in simulated driving. Our study found that, under a higher perceptual load, participants’ minds wandered less often. Significant nonlinear effects for driving duration were found on vehicular control during mind wandering for both perceptual load conditions, while the effect of driving duration was linear for on-task periods. These results suggest that, while mind wandering, individuals’ driving performance fluctuates greatly, which has significant implications on driving safety for individual drivers and overall traffic flow.